Seeing Red is a tough read. It’s tough because the sheer amount of data gathered from Canadian newspapers ends up, at times, reading like endless lists of information, rather than a coherent narrative, argument, or analysis. And it’s tough because the pejorative colonial, racialized, and essentialized images of Aboriginal people in the news are as pervasive and persistent as the authors claim they are. Sadly, this book’s relentless demonstration of this will come as no surprise to anyone involved in Aboriginal issues in Canada. The catalogue presented here is so remorseless and so disturbing that I would suggest reading just the introduction and conclusion, which contain the bulk of actual analysis and, for context, perhaps one chapter of particular interest. The authors’ central claim in the book is that mainstream Canadian newspapers have, since the nineteenth century, portrayed Aboriginal peoples in ways that promote colonial constructs as just plain common sense for the majority of Canadians: “Colonial representations as common sense, naturalized and totalized, comprise the gist of what reflects Canada’s past and present colonial imaginary in the printed press” (9). These representations consist of endless variations and intersections of three essentialized characteristics: moral depravity, innate inferiority, and a lack of evolution, or “stubborn resistance to progress” (6-7). This claim is borne out through the book, from flashpoints around the Rupert’s Land Purchase in 1869 (Chapter 1), the Northwest Rebellion of 1885 and the hanging of Louis Riel (Chapter 3), through to the Anicinabe Park standoff in Kenora in 1974 (Chapter 9), the Oka Crisis in 1990 (Chapter 11), and just about anything in Margaret Wente’s columns about Aboriginal peoples in the Globe and Mail to date (271-75). The book is at its strongest at its most historical. It falters a bit more in its coverage of more recent news items. It appears, for example, to skim over the excruciating coverage of the appalling violence towards, and erasure of, Aboriginal women. In addition, the analysis lacks the same confidence and coherence as elsewhere when Aboriginal voices are present, as with the Oka crisis; or when those voices are present but divided, as with the debate over Bill C-31 and the restoration of Indian status for many women and their descendants in 1985 (Chapter 10). 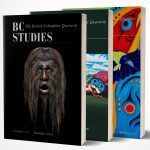 In particular, it is in these divisive issues, and the authors’ discussion of the news stories of violence by and between Aboriginal people, that their central insight — that the demeaning images of Aboriginal peoples in the news have become an unquestioned “common-sense” in the Canadian collective imaginary — might be fruitfully expanded to enrich their analysis. Political and legal decision-makers, non-Aboriginal and Aboriginal people alike, read the same mainstream newspapers. Philosopher Charles Taylor has pointed out that “misrecognition shows not just a lack of due respect. It can inflict a grievous wound, saddling its victims with crippling self-hatred.” It is at least worth questioning to what extent the relentless misrecognition the authors demonstrate throughout the book has fed back into the unquestionably high rates of lateral violence within many Aboriginal communities today, which, in turn, continues to provide ample fodder for news stories which perpetuate this misrecognition. If we don’t find ways to talk about the complexity of today’s painful iterations honestly, compassionately, and respectfully, the only ones doing so in public will continue to be the Margaret Wentes. Taylor, Charles. 1994. “The Politics of Recognition” in Amy Gutman, ed. Multiculturalism. New Jersey: Princeton University Press.